If you’ve been patiently awaiting the US arrival of the new Toyota Mirai, prepare to wait a little longer. 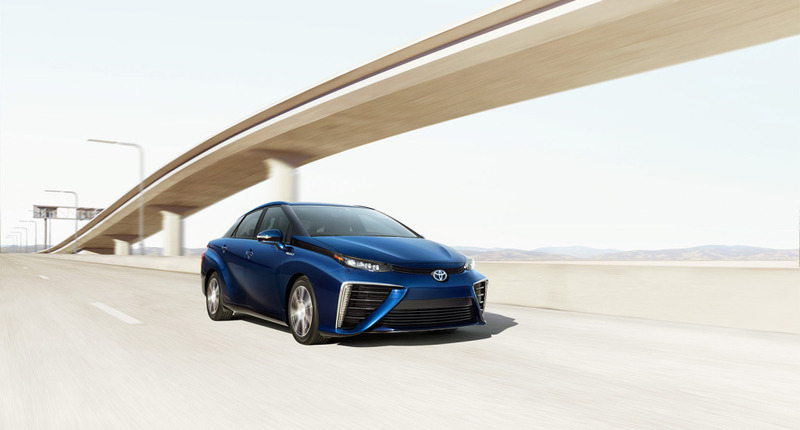 Following exploding sales in Japan (over 1,500 orders in just a month), Toyota has announced that it has nearly 1,900 orders for the Mirai in the US – way more than the expected initial production run of the hydrogen fuel cell electric vehicle. The automaker estimates that it will be able to allocate only 1,000 model year 2016 Mirai fuel cell cars to the United States. Currently, the company is in the process of reviewing the existing order requests and says it will begin delivering cars to customers this month. To purchase the new Mirai, customers had to submit requests to a special Mirai order website and agree to be interviewed by a Toyota customer service representative. The company previously said that eligibility would be partially determined by buyers’ proximity to fueling stations. If approved, applicants can place orders through one of eight California dealers authorized to sell the vehicle; four of the dealers are located in Northern California, and the remaining four are in the southern half of the state. If you missed your chance to apply for this round of Mirai distribution or your application was denied, Toyota has set up a waiting list just for you. Unfortunately, the projected wait time is anywhere from two to twelve months long. Why such a long wait? All Mirai production is taking place in Japan at the low-volume Motomachi plant (the same plant that previously built the Lexus LFA supercar). That, combined with the time it takes to import the vehicles, means customers will have plenty of time to come up with the $57,000 sticker price. One of the major problems analysts consistently identify when it comes to fuel cell cars is the limited availability of hydrogen fueling stations; it’s a relief to see Toyota is prioritizing getting ahead of that particular issue, especially considering the Mirai’s impressive stats. The vehicle’s fuel cell stack system combines hydrogen gas from tanks with oxygen to produce electricity that powers a 152 hp electric motor. The tanks can be refueled in just five minutes and offer a range of up to 300 miles! Can’t endure the wait for the 2016 Mirai? Stop by Elmhurst Toyota for other EV options, including the incomparable Toyota Prius.